The banks, in their plea, told the court that there was an outstanding loan of almost Rs. 9,000 crore against the businessman. NEW DELHI: The Supreme Court today adjourned liquor baron Vijay Mallya’s loan default case to March 3. The plea was filed by the State Bank of India (SBI)-led consortium of banks seeking recovery of its loan amount to the tune of Rs. 8,000 crore approximately and contempt against Mallya. The apex court earlier on February 20 adjourned the hearing in the case till February 27. 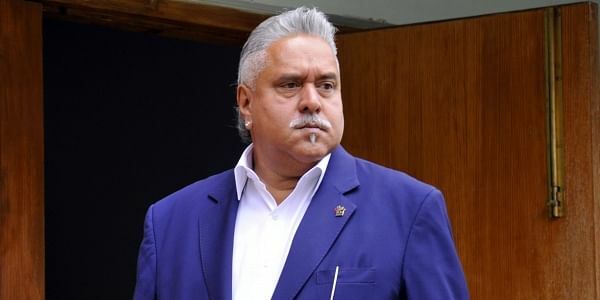 On January 11, the apex court granted three weeks time to Mallya to file a reply to the consortium of banks who sought deposit of the amount of 40 million dollars. The consortium of banks had earlier approached the apex court seeking its intervention in bringing back Mallya to India and also repayment of money which the beleaguered businessman, who has absconded to England, had taken. The banks have argued that the business tycoon has not been candid with the court regarding his assets, citing the failure to disclose the severance package he received from Diageo Plc as part of his exit from United Spirits Ltd.
On April 26, the apex court had directed Mallya to disclose his assets to the consortium. The banks also said the disclosures made by Mallya on his Indian and overseas properties were "vague". The banks also refuted Mallya's allegation that all 17 banks did not reject the three proposals made by him for repayment of over Rs. 9,000 odd crore in installments.